Following the second trailer that debuted back in August, Lionsgate has released the third trailer for their highly-anticipated action-thriller The Last Witch Hunter, arriving in theaters October 23. Fresh off his worldwide blockbuster Furious 7, Vin Diesel takes on a much different role, one which gives fans a rare look at the actor with actual hair on his head. The trailer, entitled "Awakening," features a cover of The Rolling Stones classic song "Paint It Black," performed by Ciara. Today Kaulder is the only one of his kind remaining, and has spent centuries hunting down rogue witches, all the while yearning for his long-lost loved ones. However, unbeknownst to Kaulder, the Queen Witch is resurrected and seeks revenge on her killer causing an epic battle that will determine the survival of the human race. Along with this trailer, we also have character posters featuring Vin Diesel's Kaulder, Rose Leslie as Chloe, Elijah Wood as Dolan Thirty-Seven and Michael Caine as Dolan Thirty-Six. The Last Witch Hunter hits theaters on October 23, which is shaping up to be one huge weekend at the box office. This action-thriller will go up against The Weinstein Company's comedy Burnt, Universal's Jem and the Holograms, Paramount's Paranormal Activity: The Ghost Dimension and Open Road Films' Rock the Kasbah. 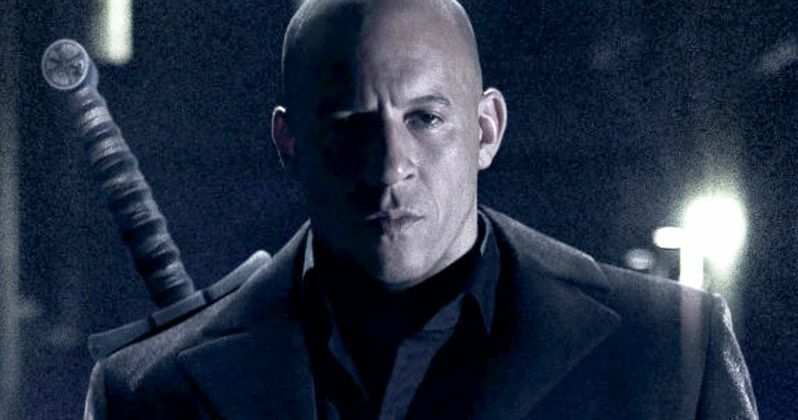 Take a look at the latest trailer and character posters for The Last Witch Hunter.